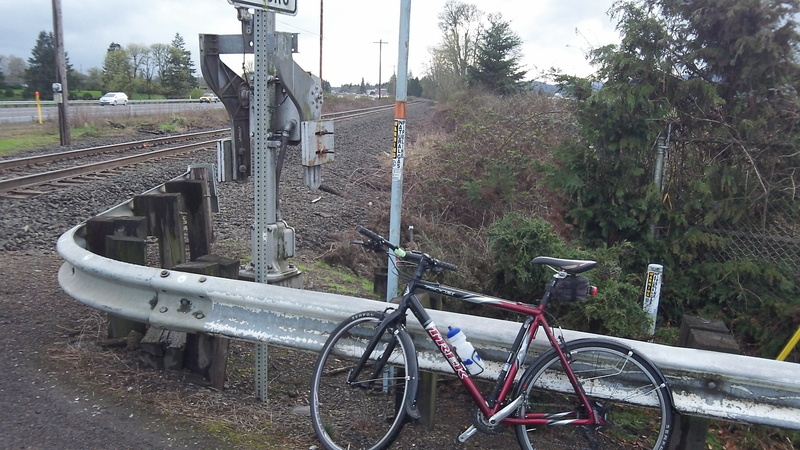 » Albany-Corvallis trail: There’s hope! The path would cross Independence Highway somewhere near here. Good news on the bicycling front: The proposed cycling and walking path between Albany and Corvallis has finally moved from being a mere dream to the realm of the possible. I’ve written about that trail for 10 years or more and hoped I might be able to use it some day. Now it’s possible it could be built in my lifetime. Benton County reports it is negotiating with property owners and has asked ODOT for more time, till this fall, to acquire the necessary right of way. The county is meeting with some concerns from farmers worried about the trail’s impact on their operations. Benton County also has applied under the state’s Connect Oregon program for $4.8 million to construct the trail from Manchester Street in Corvallis to Scenic Drive in North Albany. Getting the money is a long shot, but ODOT’s bike and pedestrian advisory committee ranked the trail as the sixth priority out of 36 projects when it met in Corvallis this month. Meanwhile, on the Albany end, the section from Scenic Drive to Spring Hill Drive has been included in the draft of ODOT’s State Transportation Improvement Program or STIP for 2015-18. The STIP foresees the Albany segment costing about $2.4 million, and the plan has construction starting in 2017. $2.4 million towards bike paths when we need Police and Fire stations?